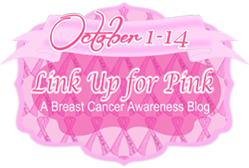 Joanie's Classy Card Corner: The Link Party is Going On!! Join In!!! So here is my card and I just love the image! 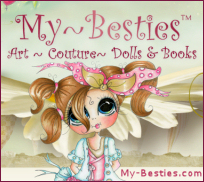 She is Awareness Ribbon Bestie, Anna Bell from Scrapbook Stamp Society. Is she not precious? 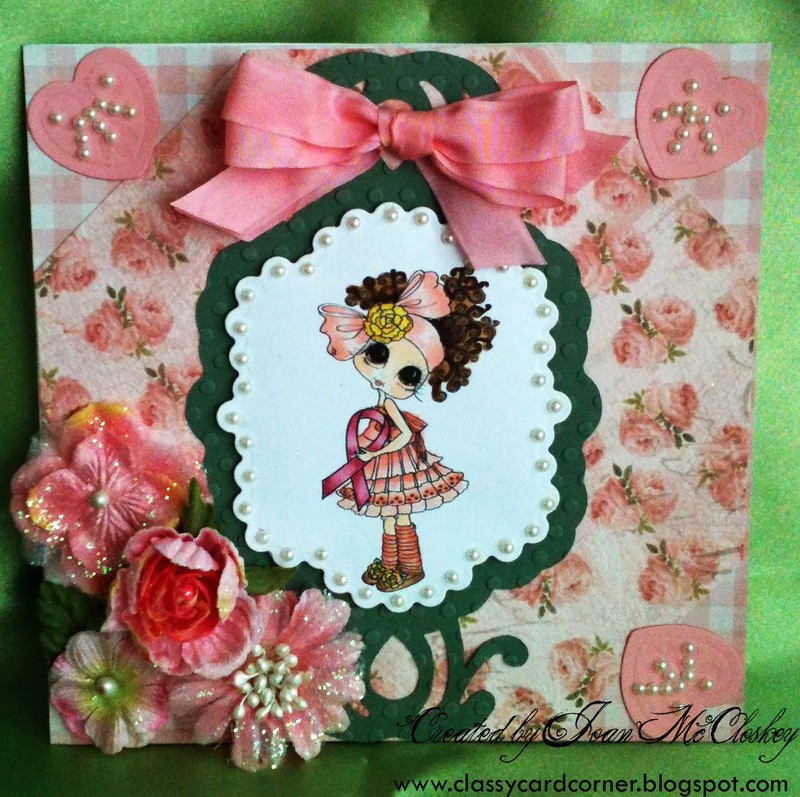 The checkered card stock is My Mind's Eye, Lost and Found, Blush "Sweet" Bouquet paper. The patterned paper is Authentique, Collection: Lovely, "Dainty". The image was colored with my Copics. We have a fantastic group of some awesome and very generous sponsors. Please, check out the list and see for yourself. AND all you have to do to win is create your card and post it in LUFP Linking Party and it's that easy, peasy!! You may be a lucky winner!!!! So get all your goodies out and start making your creation and get it in for a chance to win. You are also supporting those that are fighting the battle, those that have won and those that are being honored. Well, my friends, that's all for now, but be sure to check back regularly because I am partying!!! She is a cutey. Sweet design and fabulous coloring. Delightful! Thanks for visiting and leaving the sweet luv.